Excessive facial and body hair is one of the symptoms of Polycystic Ovary Syndrome, a condition that causes misery for tens of thousands of women. The NHS website says it is believed that as many as one in five women could be affected by PCOS. Some women experience no symptoms and may only discover that they have PCOS by accident. But for those who do have symptoms, one of the most obvious and distressing signs is dark and thick facial and body hair often on the sides of the face, chin and throat as well as on the tummy, arms, buttocks and breasts. This is because of hormone imbalances caused by the condition. Although there is no cure for PCOS there are steps you can take and for the misery of this hair growth, which can mimic the face and body hair of men, the laser hair removal I offer is an effective solution. Unwanted hair driven by a PCOS hormone imbalance can be a real challenge for traditional removal remedies. Women who use a razor can find shadowy stubble growing back within hours. Waging war with depilatory creams and waxing also only offers a brief respite. It is usually in their late teens or early 20s when women start to suffer symptoms and the distress they suffer is massive. What is Polycycstic Ovary Syndrome? Women have two ovaries that should store eggs and release them regularly, usually once a month, ready to be fertilised and start a pregnancy. Each egg should develop in a small, fluid-filled sac called a follicle and each month only one should become a fully mature egg. If you have a polycystic ovary, 12 or more follicles start to grow but they are under-developed and often unable to release an egg. This means that women affected can have problems conceiving. The good news is that there are treatments, including surgery, that can improve your chances of having a baby. Despite the name you can also have PCOS without having any cysts on your ovaries and you can have lots of cysts on your ovaries without having PCOS. PCOS often runs in families, so genetics may play a part. If your mum or sister suffers from it you are more likely to have it too. Abnormal levels of hormones in the body, including insulin, may also be part of the problem. Insulin controls sugar levels in the body and doctors have found that many women with PCOS are resistant to the action of insulin in their body and so their bodies automatically produce higher levels of insulin to try to overcome this. This, in turn, contributes to the production of larger quantities of other hormones, such as testosterone. Research is still going on to understand more about the causes of PCOS. What are the other symptoms of PCOS? As well as fertility problems and excessive facial and body hair, women with Polycystic Ovary Syndrome can suffer from weight gain and find it very hard to lose weight, they may develop acne, sleep apnoea, anxiety and depression. Why is laser hair removal a good solution for PCOS? Laser hair removal can be an effective hair removal solution for women who suffer from Polycystic Ovary Syndrome because it directly targets the root of the hair. 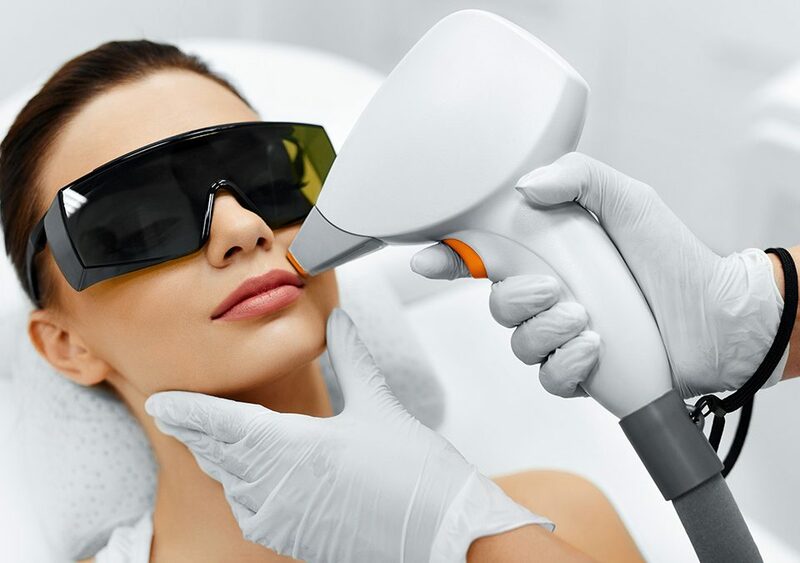 My top-of-the-range LightSheer®Duet™ diode laser machine can be set to use the exact wavelength needed to effectively destroy hair roots without damaging the skin. However, because the unwanted hair of women with Polycystic Ovary Syndrome is driven by imbalanced hormones, it can be very stubborn. We all have lots of potential hair follicles and so as we treat the ones that are already active in women with PCOS, other follicles can start sprouting hair for the first time. Your doctor may be able to prescribe medication that can work alongside the laser hair removal to help stop more hair growing. Women with Polycystic Ovary Syndrome should plan for several laser hair removal sessions, one a month. Every woman’s hormones will react differently so a full course of treatment could mean between eight or 20 sessions with occasional top-ups after that. Avance Clinic is discreet, confidential and convenient for anyone living and working in the Midlands. Based in a quiet, leafy suburb of Derby, access is easy from the M1, A50, A52 and A38. Contact me today to book a free consultation and a patch test to try laser hair removal for yourself.